Biography: Roopa Dudley considers herself an American (Chess) Painter gravitating towards Steampunk Art and Graphic Design. She is Myers-Briggs Personality Type INTJ and Ennegram Personality Type 5 (Iconoclast). She is also a published author of "A Strategic Painter: Mastermind Your Craft" (below) which came out on January 23rd 2014 and is available on Amazon. 1986. Receiving her first Artistic Excellence COPPER Award in International Children's Painting Competition.F.G Minwalla Girls High School. Karachi, Pakistan. The following year in 1987 she recieved 1st Position in Reginal School Competion in Painting. She was born on July 6th 1972 in Karachi, Pakistan and moved to United States in 1988. She went to High School in North Miami Beach, Florida. There she studied Commercial Art for two years against her parents wishes under the supervision of Norma Jane. She also got acquainted with Victoria Gitman there who is a well known South Floridian artist currently residing in Miami Beach. It is intersting to note that they both migrated to USA in the same year, majored in the same subjects and went to the same High School as well as the same University! In 1999, she graduated from Florida International University with a BA in Humanities and a minor in Art History and Psychology. She wanted to pursue her Master's in Fine Arts as a Studio Artist but was not accepted in the MFA program. That was a devestating blow to her because she had been groomed to be an Artist since as far as she could remember. She moved up to Maryland in August 2000 after she accepted a job in NSA as a Urdu Translator that was offered to her at the same time she got the rejection letter from FIU for MFA program. 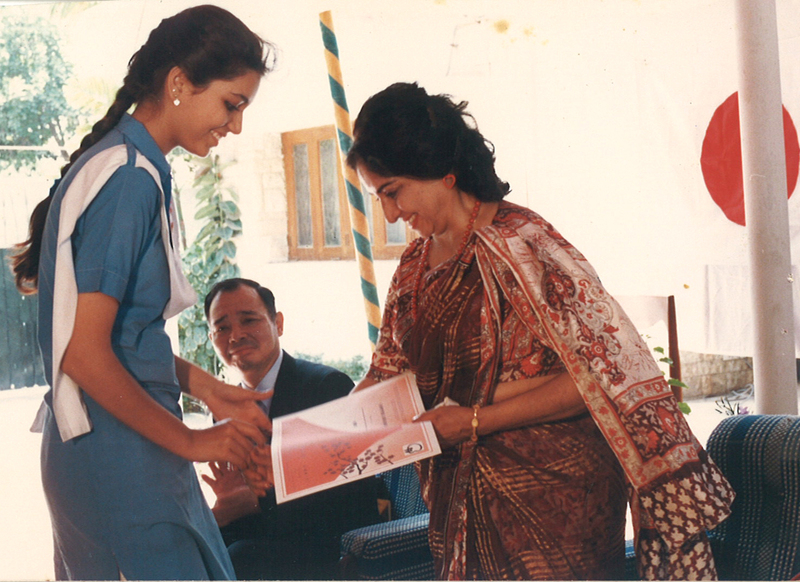 While in NSA, she has recieved not one but two cracked-iced awards for excellence in Urdu - a highly coveted award bestowed only to the few, the brilliant, the World Class Linguists. She is now aspiring to achieve similar excellence in several other languages (her favorite past time and passion) while also pursuing her artistic journey (her God given gift and full time profession) as an Epicurean Chess Artist. 2002. 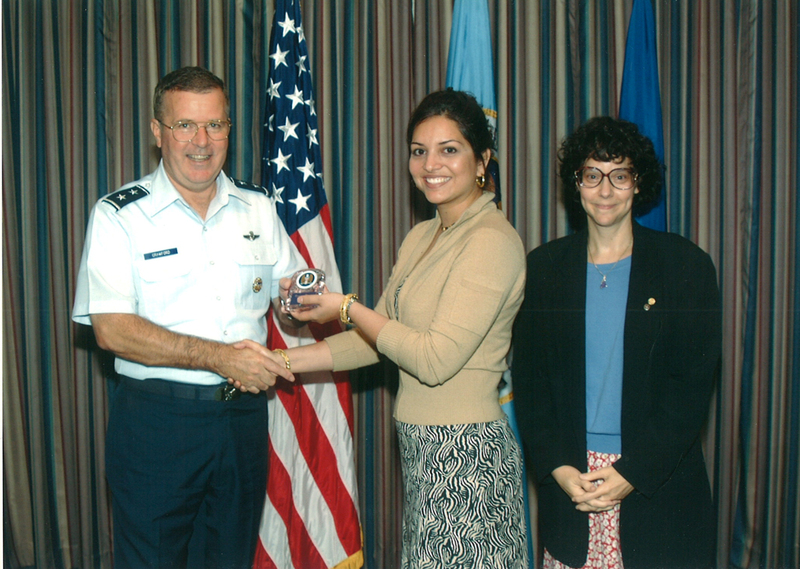 Roopa Dudley at National Security Agency receiving a rare and coveted Cracked-Ice Award for passing Urdu Professional Qualification Exam with Honors. Fort Meade, MD. She joined Maryland Federation of Art in June 2013 and since then her paintings have been exhibited in several Art Galleries all over Maryland. Some of her paintings have also been published in Local Newspapers like SUNPOST (of Miami Beach, FL) as well as CAPITAL Gazette (of Annapolis, MD). Magazines like STUDIO VISIT Art Magazine, ARTASCENT (Art & Literature Magazine, PROFESSIONAL ARTIST Magazine and Literary Art Journals like STONE HIGHWAY REVIEW, GRAVAL and SEDIMENTS not to mention THE PAINTER'S TONGUE (Visual Art Journal). She also authored a book 'A Strategic Painter: Mastermind Your Craft' (below) for aspiring beginner artists of all ages. Hobbies: Besides painting and writing about Art her hobbies include making jewelry, reading books (on Personality Types & Art History), Cooking, Entertaining Friends and having deep Philosophical Discussions with like-minded people.